This wine makes me want food… Now! 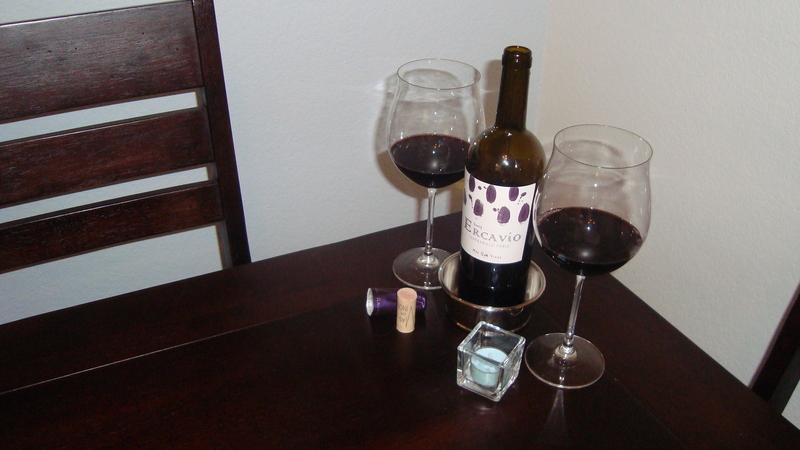 Setting the mood: I have this tempranillo decanting in two huge wine glasses. The candle is for show. It will not be lit. There are a few advantages to having summers off. One such advantage is having a ridiculous amount of time to kill. The other day, I spent almost two hours at the Gilroy BevMo just looking at wine. Scoping the labels. Reading the blurbs. Scouting for deals. A “deal” is NOT the same as a “sale”. They are having their 5 cent sale right now. It’s a scam that will be discussed on another day. By deal, I’m talking about value. A Rad wine at an equally Rad (if not Radder) price. With so much time on my hands, I found that the best deals (on paper) were in the Spain, Chile, and Argentina sections. I came across hella wines that were highly rated by the Wine Spectator, Wine Enthusiast, and Robert Parker’s Wine Advocate (Not Wilfred Wong! Again… will discuss on another day) that were in the 10 to 20 dollar range. 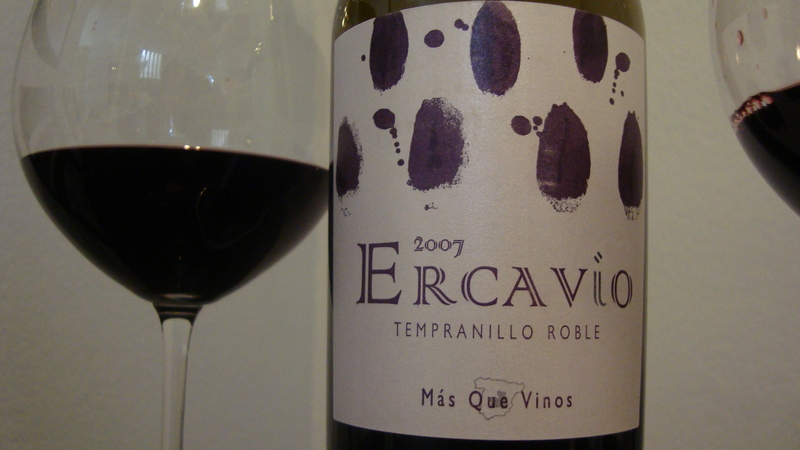 The Mas Que Vinos 2007 Ercavio Tempranillo Roble cost me $10.99 and was given a 90+ rating by Robert Parker. Now, Gary Vaynerchuk would tell me to trust my own palate, but I must say that my palate usually agrees with that of Robert Parker. For 11 bucks, why not try it? Those smudges on the label are not supposed to be there. I'm that messy. Color: This wine is a DARK ruby. There is a not quite rusty rose color along the outer edge of the glass. 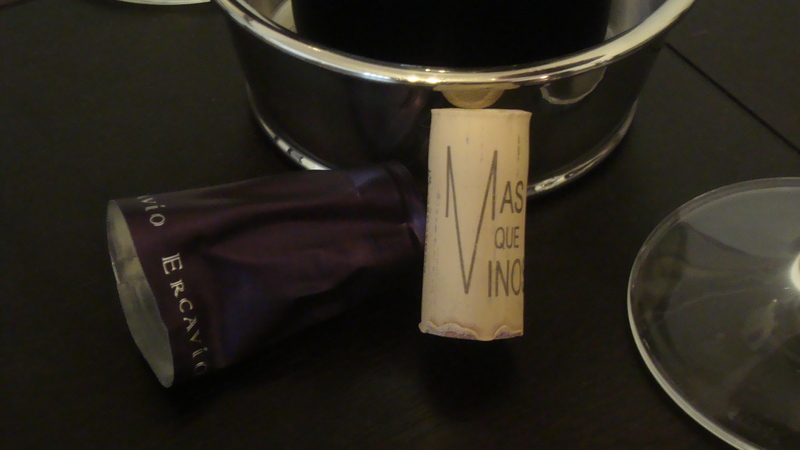 Nose: One sniff of this tempranillo filled my mouth with cocoa powder. You know how you’ll be opening a packet of instant cocoa and a cloud of powder wafts up to your nose? THAT kind of cocoa powder. The chalkiness of the nose also reminds me of opening the box for a new bicycle tube. 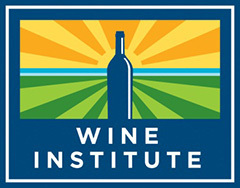 There is a green component to this wine as well. Slightly minty. A little like fresh lettuce from the garden. There is a deep note of plum. Taste: I don’t want this to throw you off. My first thought in drinking this wine was of a grapefruit. Imagine that tart citrus component of a grapefruit. Now take away the mouth-puckering sour aspect. I guess I’d call it essence of grapefruit. Now, take that grapefruit and dip it in chocolate. Delicious! There is a lingering acidity. A little lime. There are some nice soft tannins that tell me this is as good as this wine is going to get. This wine makes me want food… Now! I want tacos. I want burgers. Bruschetta. Cheese. It is extremely versatile. After my initial taste, I jumped up to raid the fridge. My initial thought was to grab some cheese. Since I was thinking about tacos, I grabbed some hard cotija cheese from Mexico (Literally! I flew down to Mexico just now to get this cheese). While I was cutting the cheese (Childish joke. Though not intended… appreciated!) My mouth began to water with this flavor of caramel and chocolate (Rollos anyone? ), so I grabbed some strawberries. The saltiness of the cotija paired very well with the acidity of the wine. The strawberries did a great job of stepping up those chocolate notes. This wine is a solid, food friendly, mo fo. Considering that this is my first official review for this blog, I had a tough time scoring this wine. I must tell you that I loved it. You must also know that I doubt it has the structure to last another two years in the cellar. All I’m thinking right now, however, is that I want to go buy a whole case right now. I want to drink this wine with as many different food pairings as I can. It is THAT good. But… I’ve had better. But… It’s only 11 bucks. I’ve got to tell you, I could not have asked for a better wine to score first for you. This is THE threshold for me. I’m giving it 90 points, and I’m telling you that you MUST try this. Rubbery, synthetic cork. Chocolaty, authentic wine.